A record-setting June for rainfall prompted me to make another trip along the Mississippi River to see how bad the flooding was. The 4.13 inches of rain that fell on June 19, a day before this ride, was the fifth wettest day since 1871, according to Weather Service records. I began the ride with a visit Crosby Farm Regional Park, off Shepard Road on the southern-most part of Highland Park. 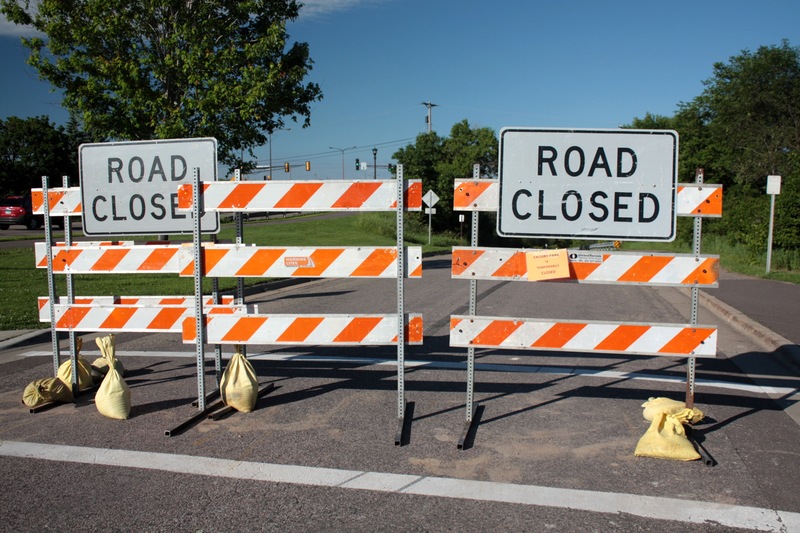 The barricades on the access road foreshadowed what I’d see down along the river. It was no problem to ride past the barricades and down the bluff to see how things looked at the Watergate Marina. 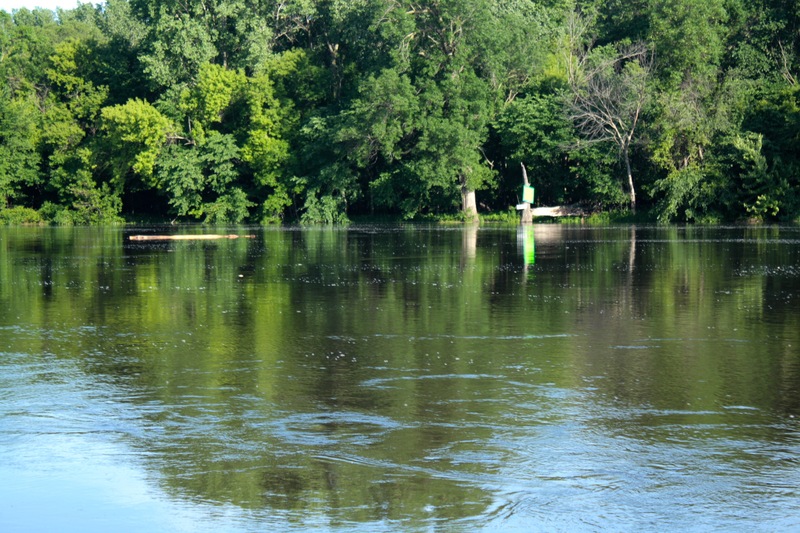 The Mississippi is well above its usual level as evidenced by the bank on the across the river. Water laps at the temporary pier, installed presumably to allow boaters access while the permanent piers were under water. Notice the street light, two buildings in the background and the bushes on the left are all surrounded by water. Now at the entrance to Crosby Farm Regional Park trails, I could go no farther because of the water. 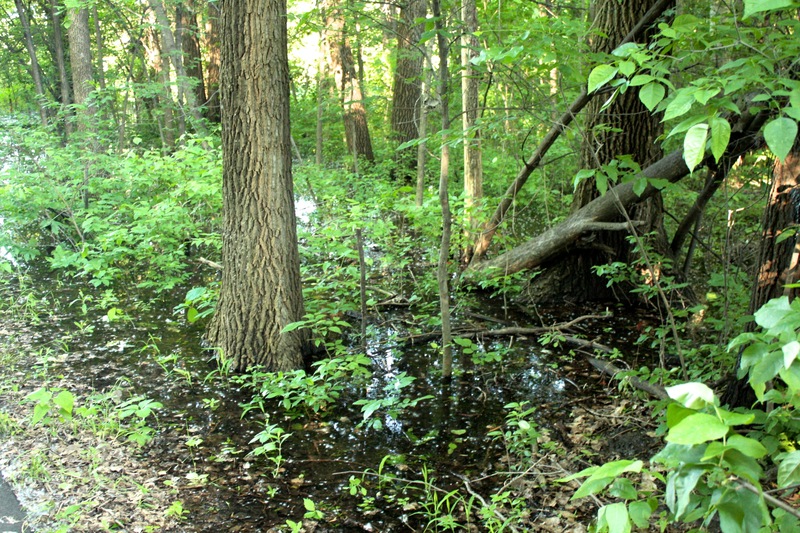 The flood has overwhelmed much of the flora in the park. Debris left along Crosby Park Road by flooding earlier in the spring. On the Samuel Morgan Trail west of Randolph Avenue, it’s obvious how much wider than usual the river is. 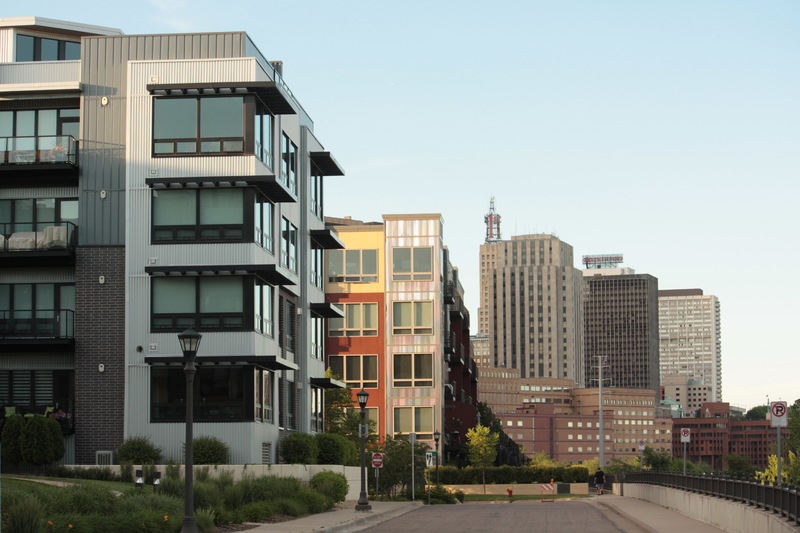 Washington Street at Shepard is one of Saint Paul’s newer streets in one of the City’s newest subdivisions, called the Upper Landing. This plaque signals the Upper Landing to all who enter on Washington Avenue. 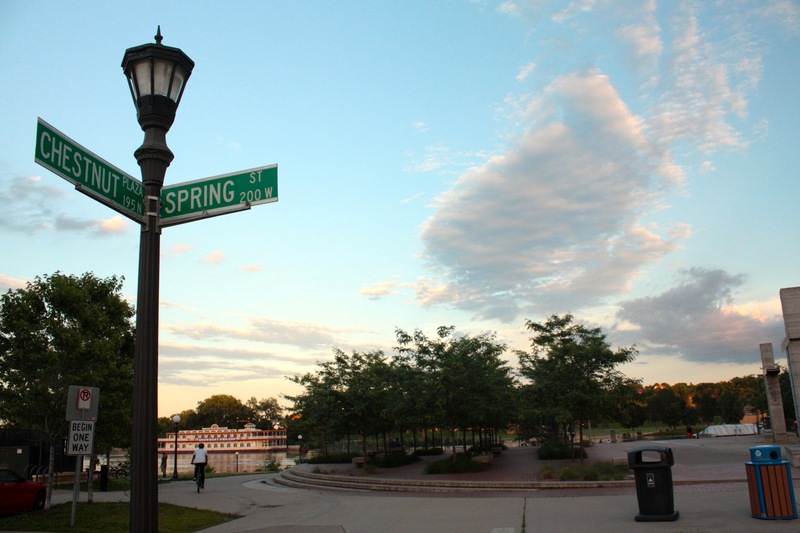 The Upper Landing neighborhood consists of more than 600 high-end condominiums and townhomes, apartments for all income levels, two parks and some retail space. 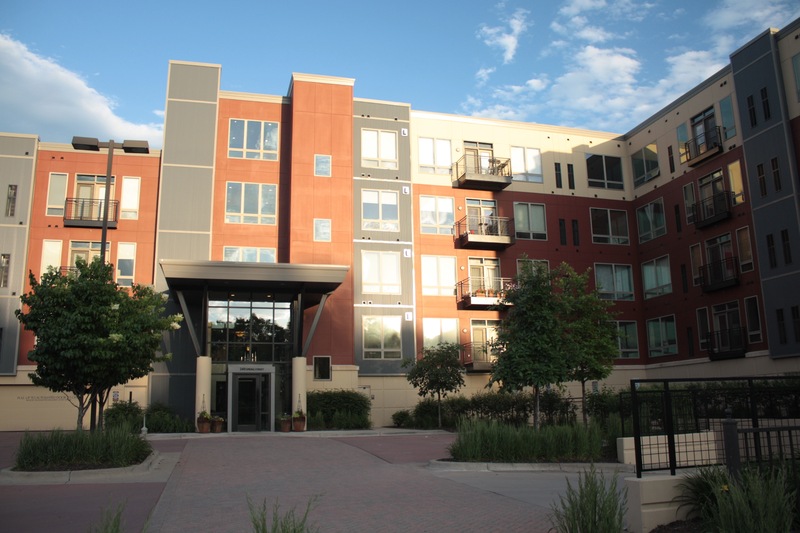 The residential complexes, built since 2004, look fine with their clean, modern lines, but too closely resemble many of the newer condo projects in Minneapolis’ trendy North Loop for my taste. The $175 million Upper Landing project is situated on 22 acres-seven city blocks-along the Mississippi River, between the Smith Avenue High Bridge and Eagle Street. 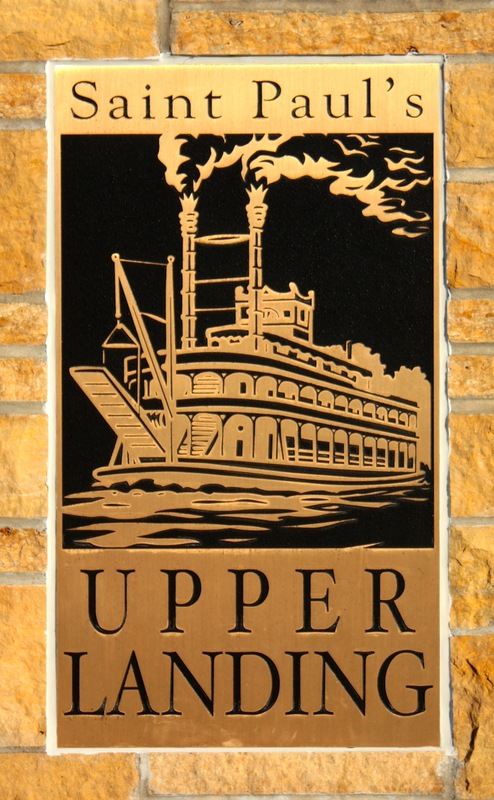 The history of the Upper Landing area is noteworthy, with a bit of irony. More on that shortly. Early on in Saint Paul’s history as a city, the Upper Landing became home to new immigrants. In the late 1800s, Italian immigrants joined those of German and Polish decent who settled, or more accurately, squatted, in this same part of Saint Paul. At that time the area was known as the Upper Levee Flats. Many of the men worked as laborers, often for local railroads. Nearly all of the homes – typically small, wooden structures – were built by their residents. “Little Italy”, as the neighborhood was also called, even got its own modest, four classroom elementary school, Mill Street School. A Saint Paul Pubic School’s document indicates the school was constructed on Mill Street in 1922 and closed in 1954 but the 1916 map (below) clearly shows the building. By the look of it, someone added the school to the earlier 1916 map. Little Italy suffered from a couple of fundamental problems-a lack of City services, particularly sewers, and, because it was built on a flood plain, regular flooding. The completion of Saint Paul’s sewer system in the 1930s eliminated one issue but there was no way to keep the Mississippi within its banks. The 1952 flood wreaked havoc upon the Upper Levee neighborhood in the short term and beyond. The extraordinarily devastating 1952 flood convinced City officials to condemn Little Italy. Crews demolished the last house in 1960 and prepared the land for construction of Shepard Road and a metal scrapyard. 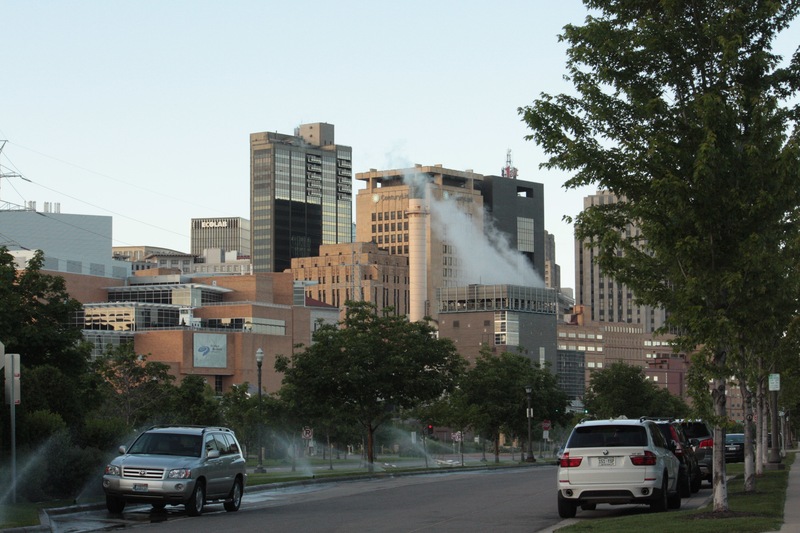 In the late 1990s City officials, perhaps with some prodding by developers, finally came to the realization that there are considerably better uses for this prime riverfront land. Planning began in 1997 for the modern adaptation of the Upper Landing which included housing- the irony I mentioned earlier. The first phase of the massive project entailed moving Shepard Road north, away from the banks of the river. That opened up the acreage for the new residential development. However the soil, so contaminated from 100 years of human and industrial waste that it was named a Superfund site, had to be removed. 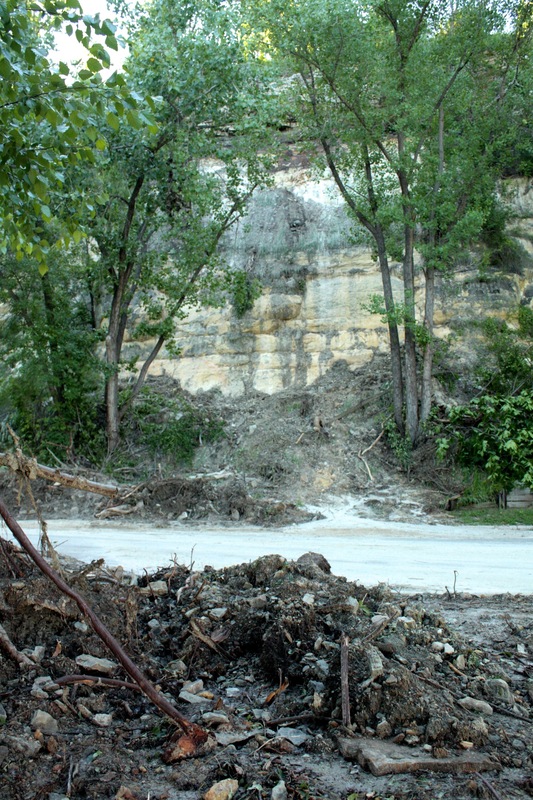 To alleviate flooding, clean fill brought in raised the land above the 500 year flood point. Construction on the Upper Landing was completed in 2006. The Upper Landing lies just south and west of Downtown. 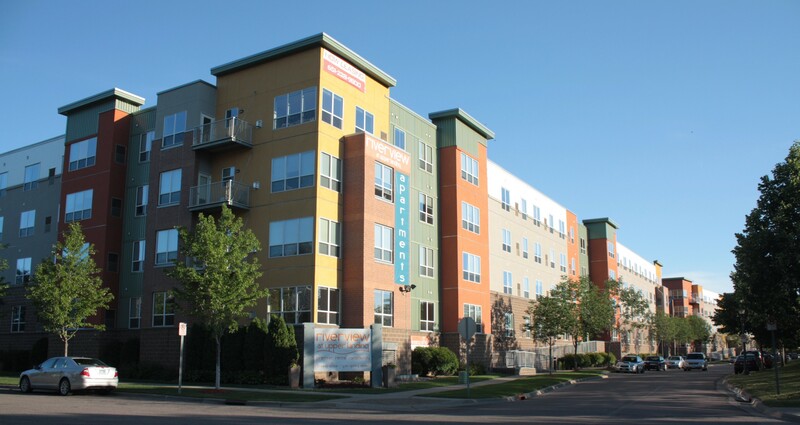 The Riverview at Upper Landing features market-rate apartments at Spring and Mancini Streets. 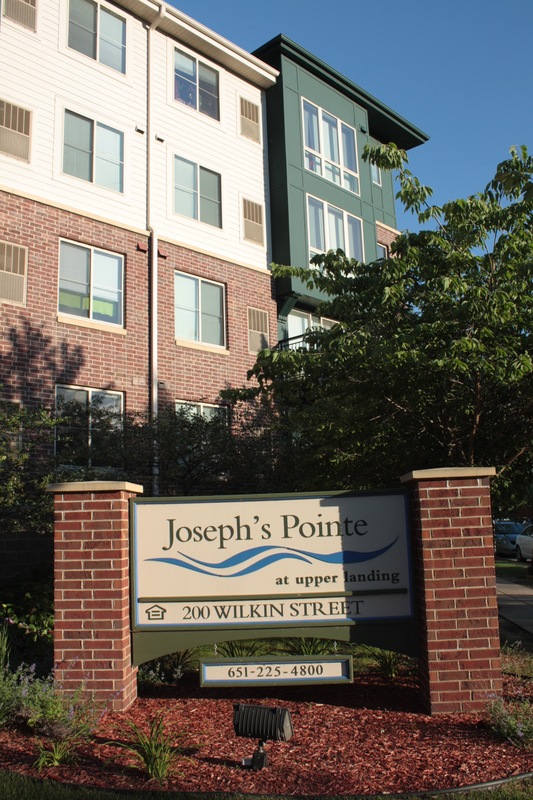 Joseph’s Point apartments are also market-rate housing. 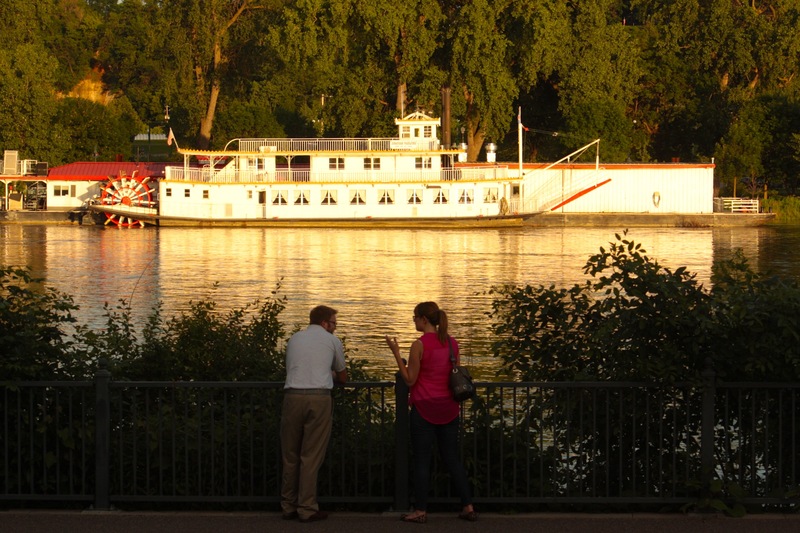 Two people shoot the breeze as the Mississippi rolls by. The riverboat is the Jonathan Paddleford. 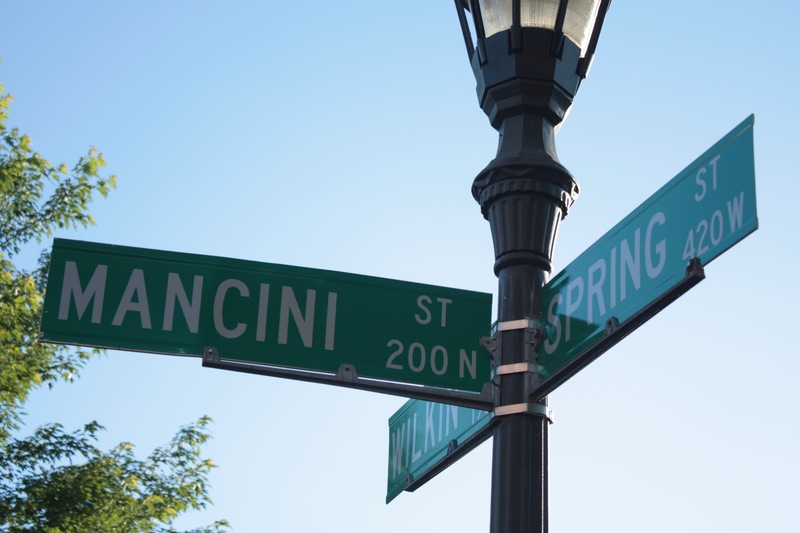 In a nod to the past, some Upper Landing streets have been given the same names as those in the long lost Little Italy and others were named after prominent residents of the Flats. 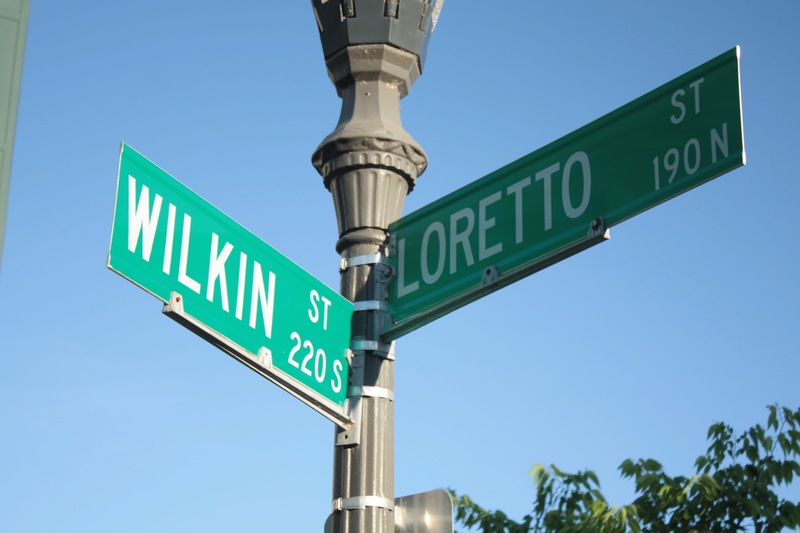 The Spring and Wilkin Street names have been reclaimed from the old neighborhood. Mancini was named in honor of Nick Mancini, the well-known West 7th Street restaurateur who died in 2007 at the age of 80. 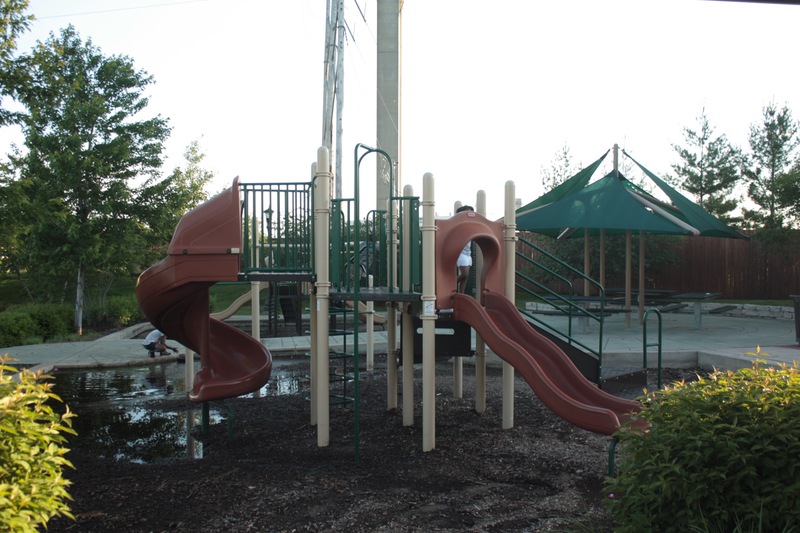 This playground is in one of the two Upper Landing parks. Chestnut Plaza is a delightful public area at the east end of the Upper Landing. 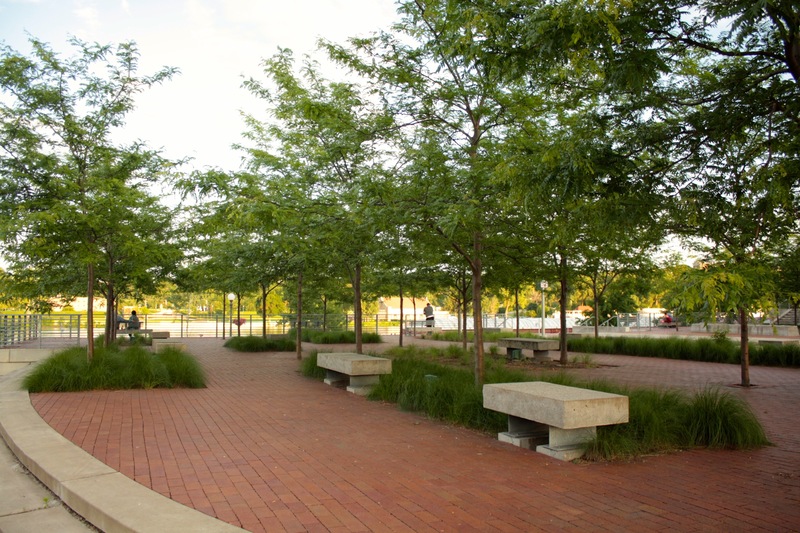 Amenities include benches, trees, a fountain and access to the shore of the river. 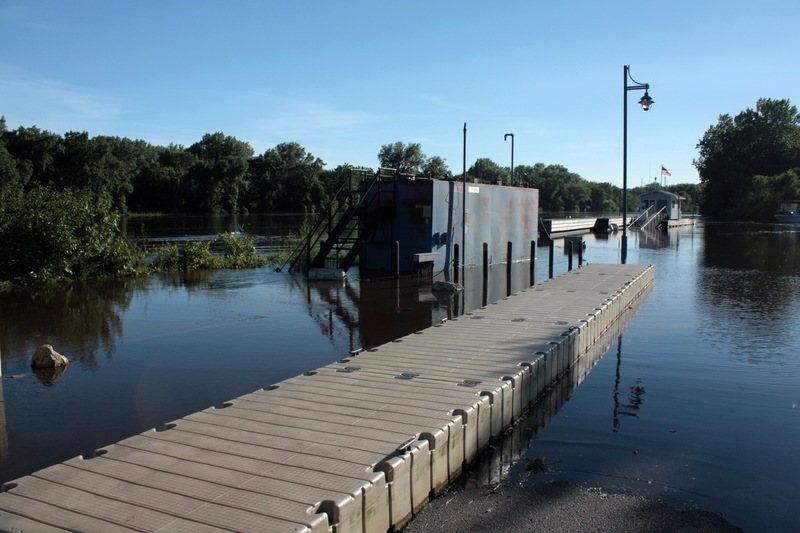 The flooding brought river access at Chestnut Plaza closer than planned. 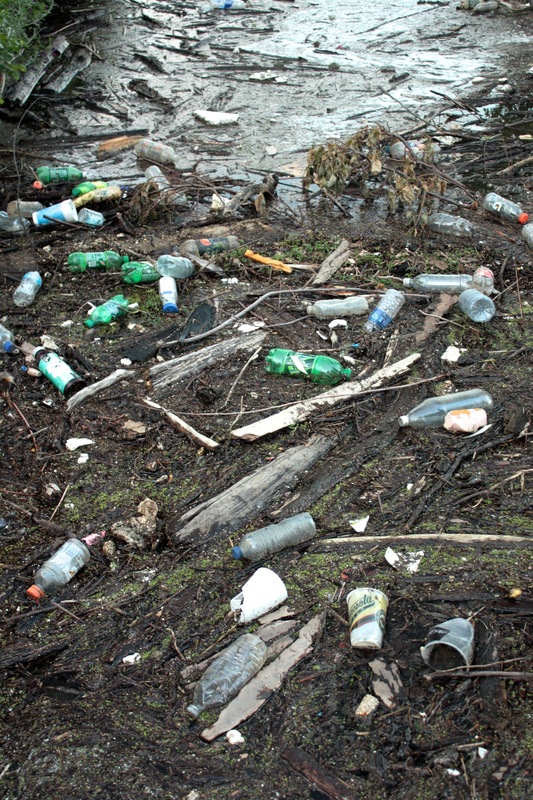 The high water level dislodged a great deal of natural and man-made detritus. Apparently more trash cans are needed. 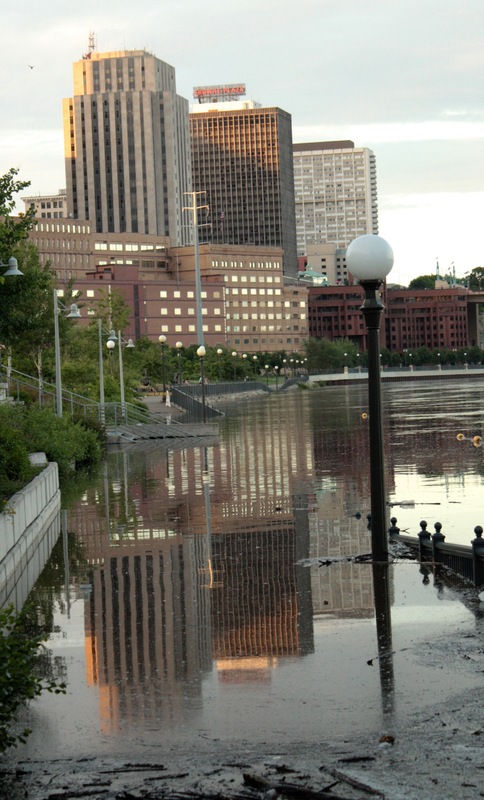 Downtown buildings are reflected in water that crept up a riverfront walking path. 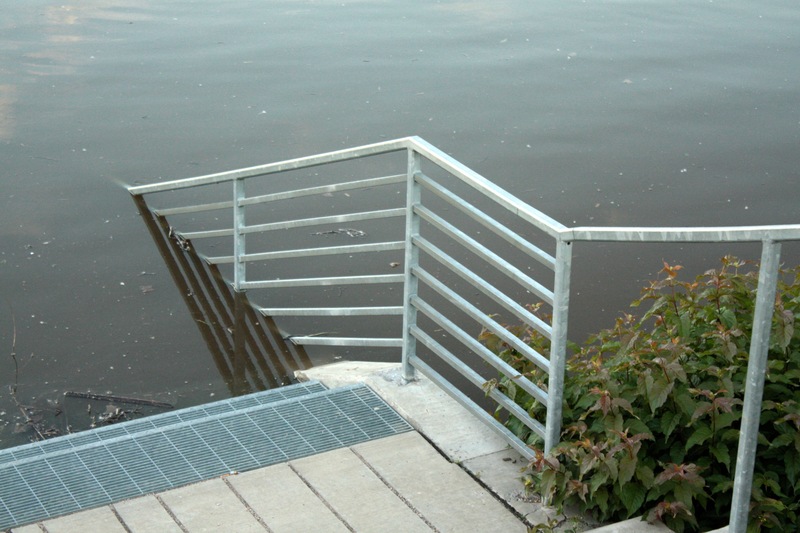 Notice the railing on the right gradually descends into the water. 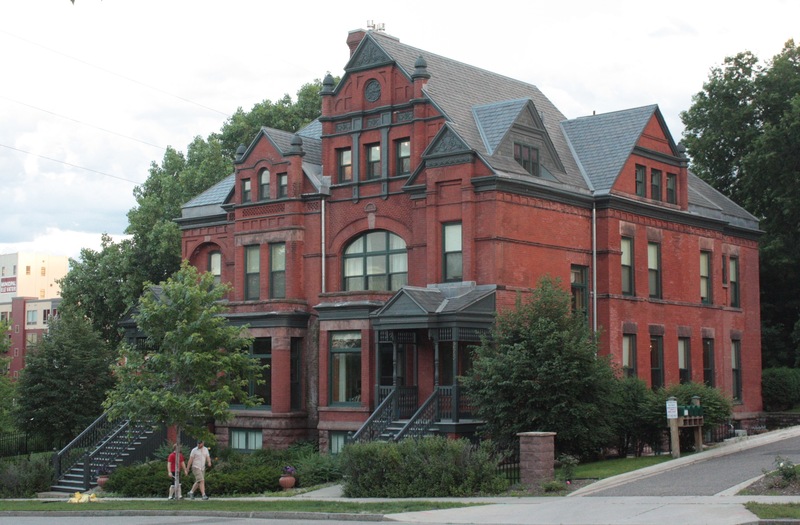 The John M. Armstrong House (often called the Armstrong-Quinlan House) is named for its original owner who had it built out of brick and stone in 1886 for about $21,000. Less than a block away from the river and the Upper Landing, at 225 Eagle Parkway to be exact, is the stately John M. Armstrong House. Built Downtown at 233-235 West Fifth Street as a double house in 1886, where it stayed until a 2001 move to its present location. According to the National Register of Historic Places nomination form from 1988, Armstrong rented out the home, likely to railroad workers. The home stayed in the Armstrong family until 1943. Five years later it was sold again and converted to the Key Hospital for alcoholics. The same owners, in 1965, changed the name and mission of the house to the Quinlan Care Home, a nursing home. The story of this unique house picks up again in 1988 when the State of Minnesota purchased it to use as part of an arts school. The school was built elsewhere so the Armstrong-Quinlan House languished, unoccupied for 13 years across the street from what is now Xcel Energy Center. The Pioneer Press newspaper reported the 2001 move of the 900-ton house to Eagle Parkway took eight days and cost the City more than $2 million. 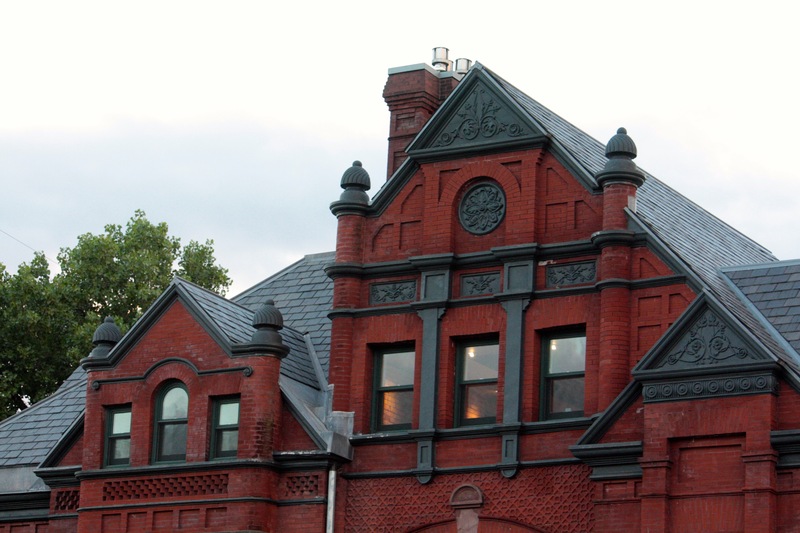 Restoration of the Victorian beauty began in 2005 and the four condos were purchased in 2007 and ’08. The intricate, nearly to the point of muddled, decorative embellishments of the Armstrong House stand out in this picture. Today there are four condominiums inside. 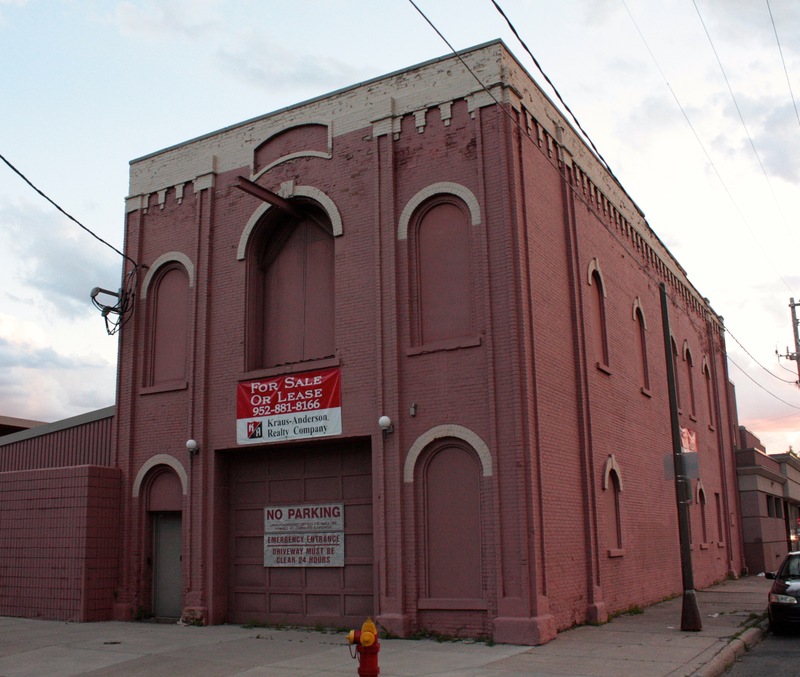 This building at Grand Avenue and Leech Street most recently was part of Kraus Anderson Construction’s Saint Paul office. Once upon a time, it housed the crew and equipment of Fire Station 3. Pleasant Park or Pleasant Place, in the West 7th neighborhood called Little Bohemia, is aptly named. 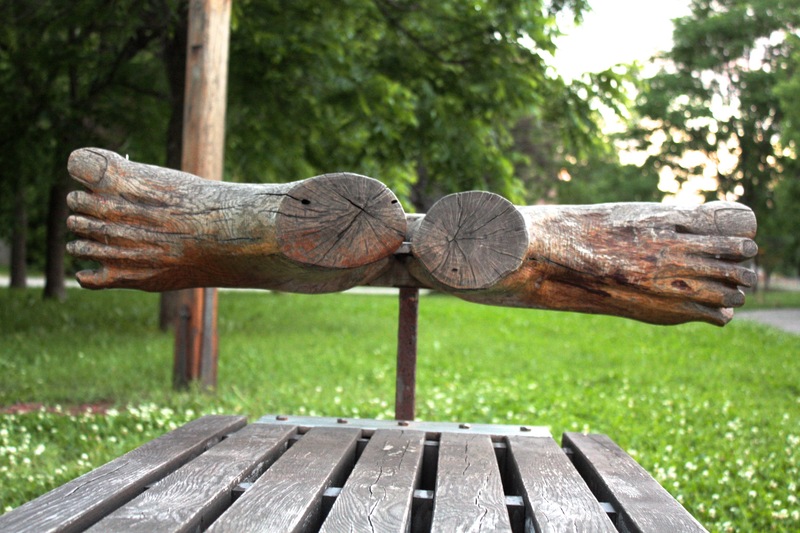 Trees, flowers, benches, artwork and some workout equipment give neighbors good reasons to visit. The Little Bohemia Neighborhood Association says Pleasant Place was dedicated in October of 2010. Fancy footwork at Pleasant Place. 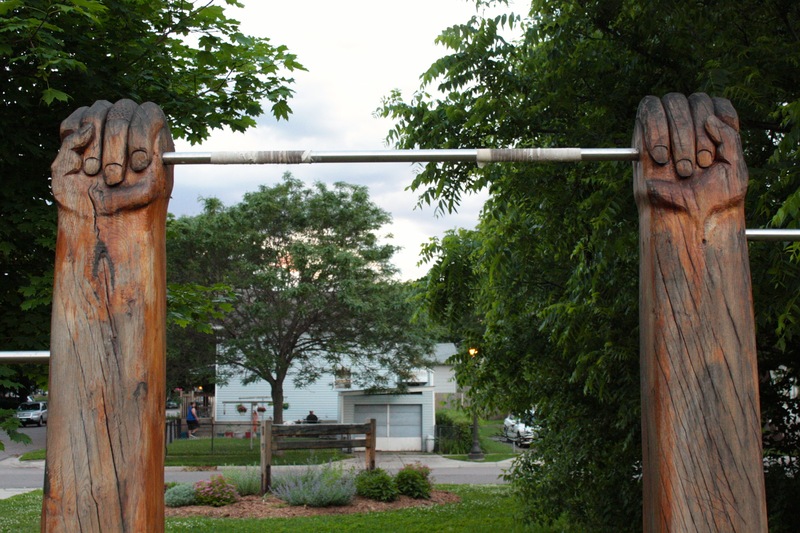 Art or a pull up bar? Actually, both. Being a day before the summer solstice, June 20th was one of the longest days of the year. 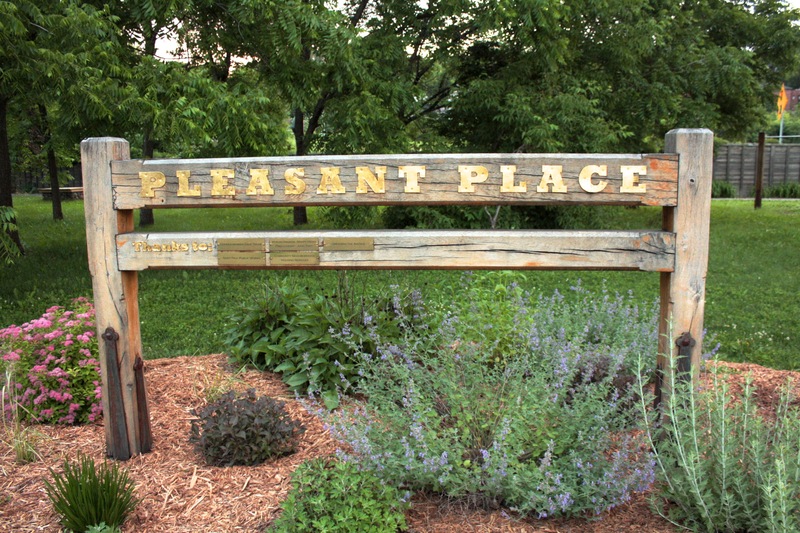 The time was drawing close to 9 p.m. and sunset was a couple minutes beyond that, so I presumed Pleasant Place was my last stop. That changed when I turned on Goodrich Avenue and spotted a lemonade stand in front of 333. 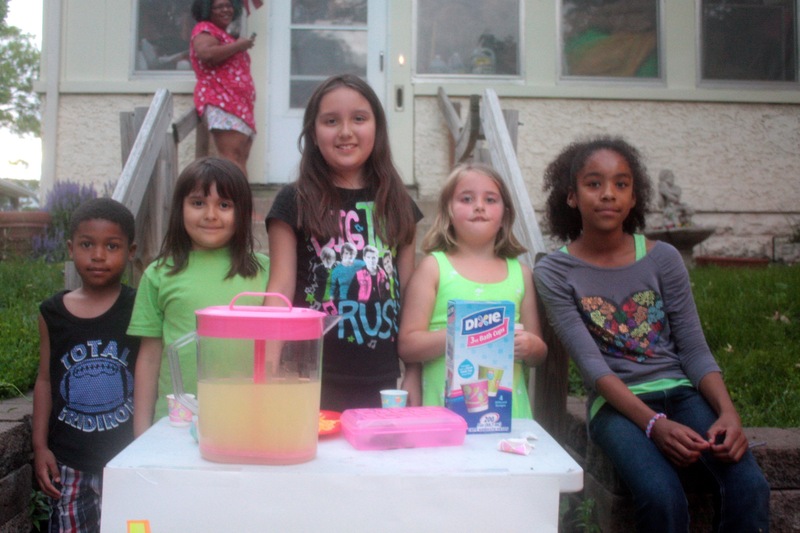 The Lemonade crew in front of 333 Goodrich. The enthusiasm the young ladies displayed elicited a chuckle from a couple of parents and me. I thanked Alisa and company and road off into the darkening summer evening. Here’s where I rode on June 20th. Are you from Wisconsin? Pier vs dock vocabulary seems to split at the St. Croix. Matt, I am indeed from Wisconsin! I know there are colloquialisms unique to Minnesota and WI (cabin vs. cottage, drinking fountain vs. bubbler) but I did not know that pier and dock are also on the list. Thanks for telling me and thanks for reading and commenting. I almost rented one of those apartments at the Upper Landing. Aside from the fact that they are relatively expensive, they also feel weirdly isolated even though downtown St. Paul is so close you can almost throw a rock and hit. It probably didn’t help that I was looking in March. It will be interesting to see how this architectural style holds up over the next few decades. Where did you end up living, Stuart?